includes house garden salad, sandwich, bagel chips, sweet treat and iced tea or water. Choose from any of the following sandwiches. Hardwood smoked ham, aged American cheese, mustard and mayo on our own fresh sourdough bread. Available grilled or cold. Sliced roasted turkey, provolone cheese, mustard and mayo on our own fresh sourdough bread. Available grilled or cold. Our house roasted beef, Swiss cheese, mustard and mayo on fresh sourdough bread. Available grilled or cold. Garlic and herb cheese spread, aged American and provolone cheese on our own sourdough bread served hot from our panini grill. Our house made tuna with lettuce served on our own lightly toasted sourdough bread. Salad​ green, roasted turkey, crispy bacon and tomatoes. Served with ranch dressing. Salad greens, thin slices of ham, capicola, pepperoni, salami and provolone cheese with roasted peppers, red onion and tomatoes. Served with Italian dressing. Salad greens, toasted turkey, provolone cheese with roasted peppers, red onion and tomatoes drizzled with our house pesto sauce served with balsamic vinaigrette. Salad greens, red onion, roasted chicken strips sprinkled with asiago cheese, served with caesar dressing. 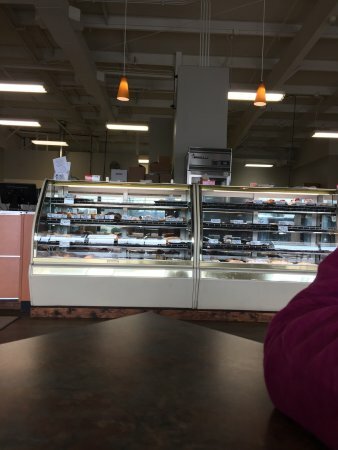 We discovered this wonderful bakery on Pi Day and couldn’t believe the quality of the selection, cleanliness and friendliness. So delicious; looking forward to returning which says it all as I usually do my own baking. 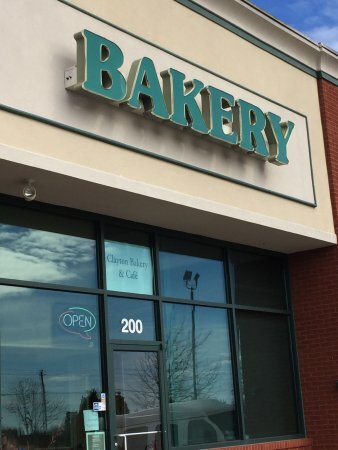 Great bakery, and lunches are very good! Lunches come with a free dessert (nip of cake or cookie), the food is high quality and lots to pick from. Especially like their coffee choices after the meal. After trying to make a birthday cake for one of my youngest granddaughters, we ordered from Clayton Bakery the 2nd Youngest Grand daughters cake this weekend. It was delicious. Moist and very flavorful. Cost was unbelievable and beautifully decorated. Will definitely use them again!!! My wife and went by to chill and relax. 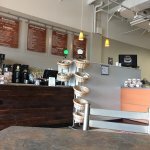 The food was very good, the staff was friendly and stopped by and check on us a few times. Nice place to visit with friends. Stopped by for first time. 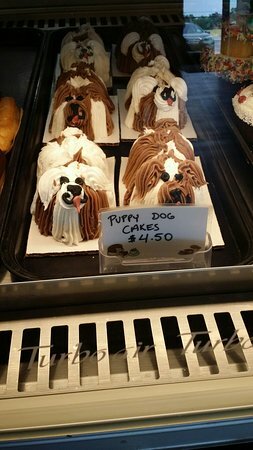 They had a great selection of pastries. We bought 6 different type all tasted great. They also had great tasting coffee. prices are reasonable. Clayton Bakery did my daughter's catering for the dessert and it was delicious , we did serval different desserts and they cut everything so I didn't have to do anything, but serve it. Wonderful, thanks again! 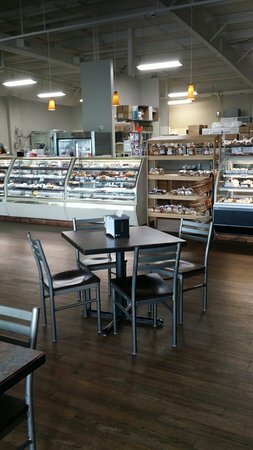 Get quick answers from Clayton Bakery & Cafe staff and past visitors.